It’s a Food Schmooze® Earth Day celebration! We team up with White Flower Farm in Litchefield, CT to bring you the latest tomatoes to grow, including a savory tomato called “Purple Reign,” a plant called “Raspberry Shortcake” you can grow in a container, and ideas for your window sill herb garden. Want to deter insects and pests the natural way? White Flower Farm nursery manager Barbara Pierson is on hand with pro tips for keeping everything from deer to mosquitos at bay. Plus, Chris Prosperi shares a recipe for Cucumber and Nasturtium Tea Sandwiches. Bring on the spring bridal and baby showers! What’s Barbara most excited about this year? Get a rundown of the plants (including tomatoes!) the gang talked about during this show. 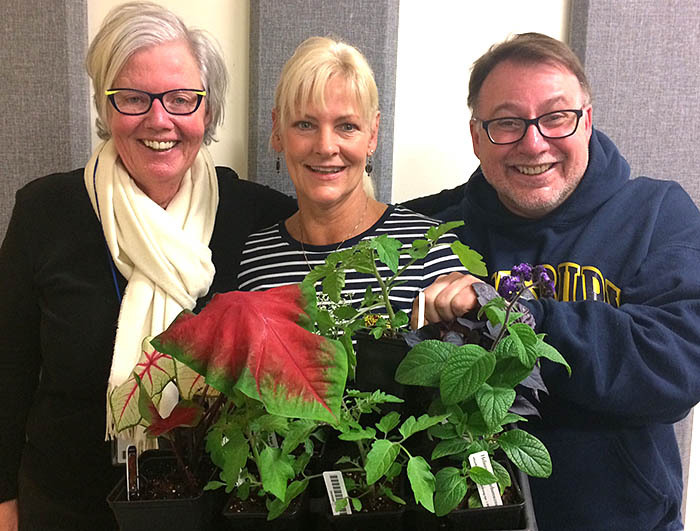 Please note: The White Flower Farm $25 coupon is available to donors on air dates Thursday, April 19 and Saturday April 21, as part of our Faith Middleton Food Schmooze® Earth Day celebration, but we encourage you to support our show in any way you can, whenever you can. Thanks.